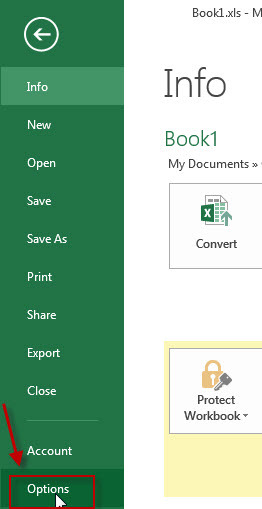 If your excel file is created in Excel 2013 version, then it cannot be opened in excel 2003 or later by default. 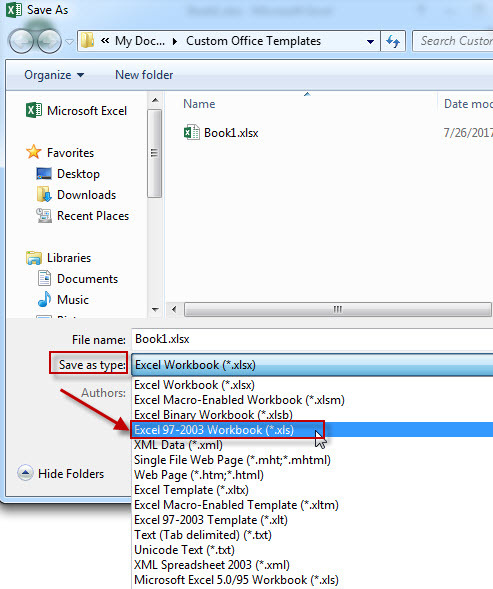 So you need to save the excel file as 97-2003 format so that it can open in Excel 2003 or other low version of excel. 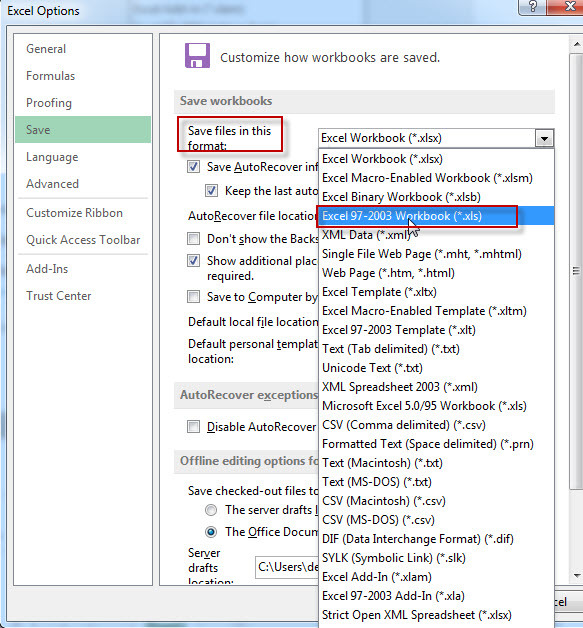 1# click “File” Tab in the current workbook. 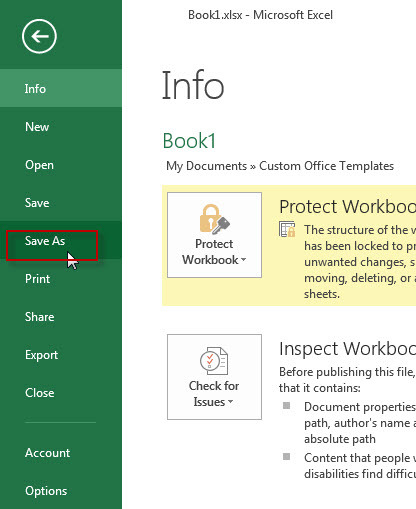 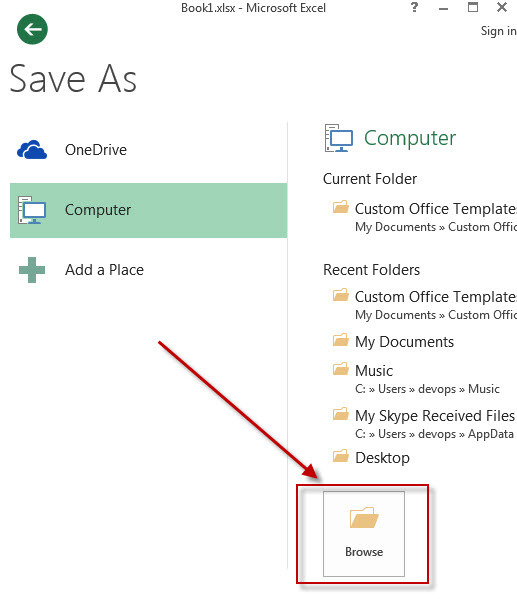 2# click “Save As”, then click “Browse” button.